Garibaldi’s defense of the city proved to be successful against the Neapolitans, but not against the French, so the popular but brief Roman Republic ended on 3 July 1849 when French troops entered the city. Pius IX returned triumphantly to Rome in April 1850 and set about reestablishing his hold on the city, with the support of France, 6000 of whose soldiers remained in the city until 1870. This provided French ascendancy over Rome for the next two decades, so it is not surprising to note that the principal city views in our exhibit are provided by French artists. 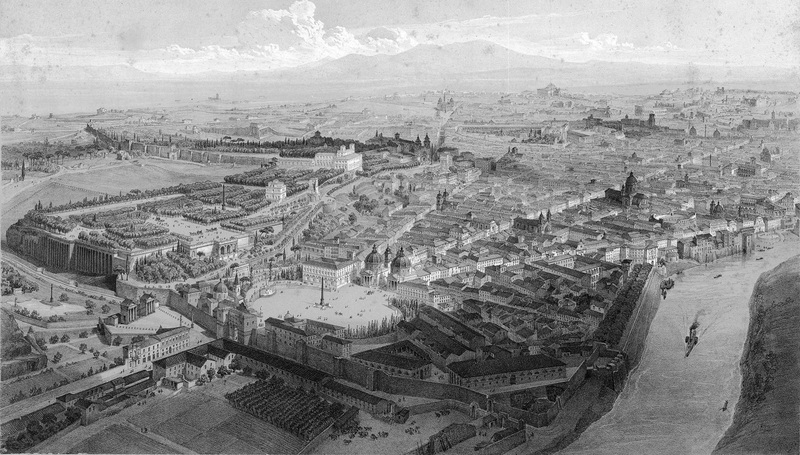 In the two decades following his return to the city in 1850, Pius IX gave visible proof of his reestablished control over Rome by initiating a series of large-scale urban projects, including new streets, piazze, and buildings, most of which remain visible today. But the French support of the pope in Rome did not stop the developing movement toward the unification of Italy, and in 1861 Italy was declared a unified nation under the rule of King Victor Emanuel II. Thus Lazio with Rome at its center was all that was left of the former Papal States, still under the secular rule of Pope Pius IX. This area was surrounded by the Italian state, hence the title of this exhibition: Roma Isolata. In 1870 the Franco-Prussian war caused the withdrawal of the French troops from Rome, enabling the Italian takeover of Rome on 20 September, whereupon the city became the capital of unified Italy. Pius IX withdrew to the Vatican, and never left it again. The greater part of the exhibit is made up of the lithographs by the Benoist brothers, Felix and Philippe, published in three volumes as Rome dans sa Grandeur. There is a certain irony in the fact that this grand work was dedicated to Pius IX, but published in 1870, the very year the pope lost secular control over Rome, and became “a prisoner in the Vatican” as he himself termed it. 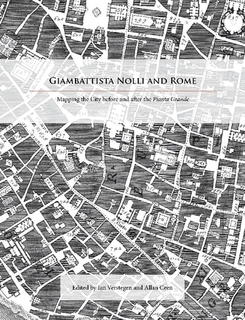 The prints depict the city in the 1860s, the period immediately preceding Rome’s rapid urban expansion after becoming the capital of unified Italy. Most of the views on display reveal some elements that have been demolished, altered, or rebuilt in the modern period. 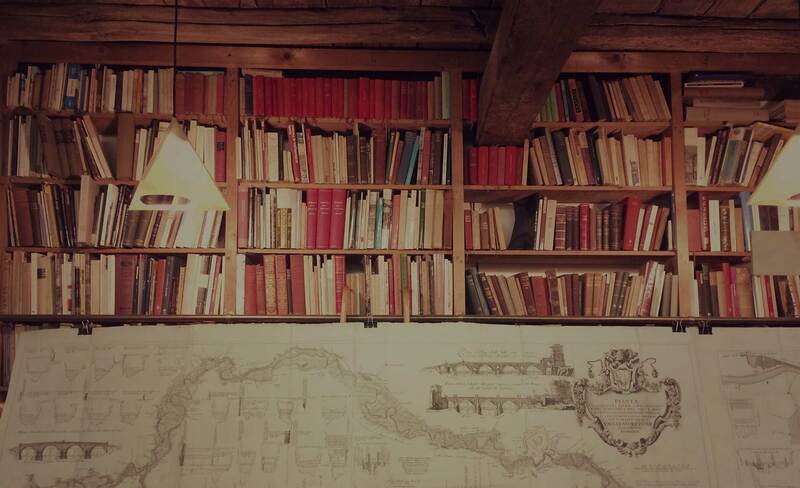 In addition to housing an extensive library of books, prints and maps of Rome the Studium Urbis is frequently used as a small lecture hall whose walls are lined with originals and reproductions of the material being discussed. 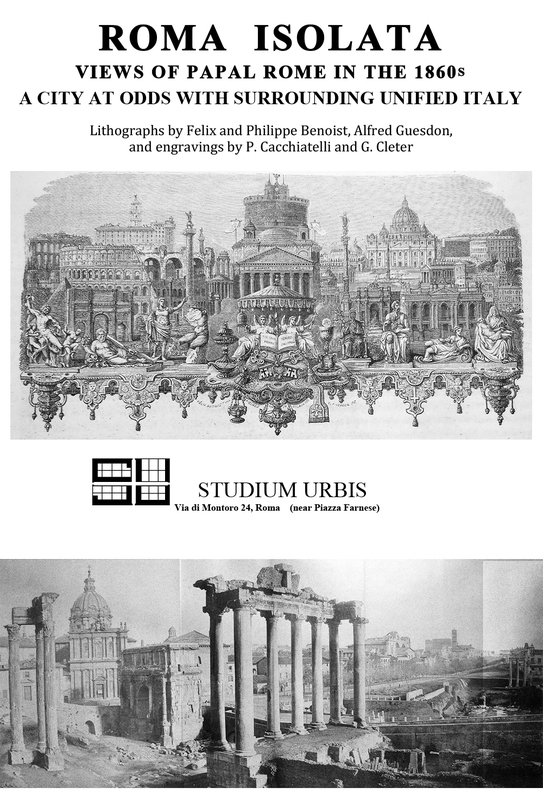 Upon request individual lectures on Roman urbanism, cartography and architectural history are given at the Studium Urbis (capacity 30 seats) to U.S. university groups visiting Rome.